Nick Schuetze and Christine Lundy of the USA won the individual titles at the NACAC mountain running championships this weekend, and team USA took both team titles. 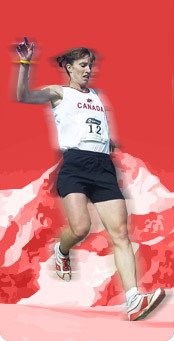 Adrian Lambert and Katrina Driver took home the Jim Clampett Awards for top Canadian mountain runners. Lambert was third overall behind Schuetze and Ivan Babikov (a Russian not yet turned Canadian citizen), while Driver was third behind Lundy and Lisa Goldsmith, another American woman. This was the final selection race for the Canadian teams. The following runners have made the team, though we are still waiting for confirmation from some.